Use the following artworks and activities to build your students' comprehension, speaking, and writing skills. 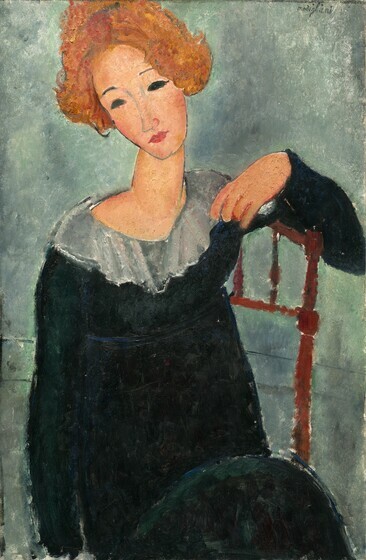 Writing Activity: How would you describe the mood of the woman in this painting? What do you think she might be thinking? Write a few sentences from the point of view of the woman. Use the descriptive word cards (PDF 34KB) as a starting point. 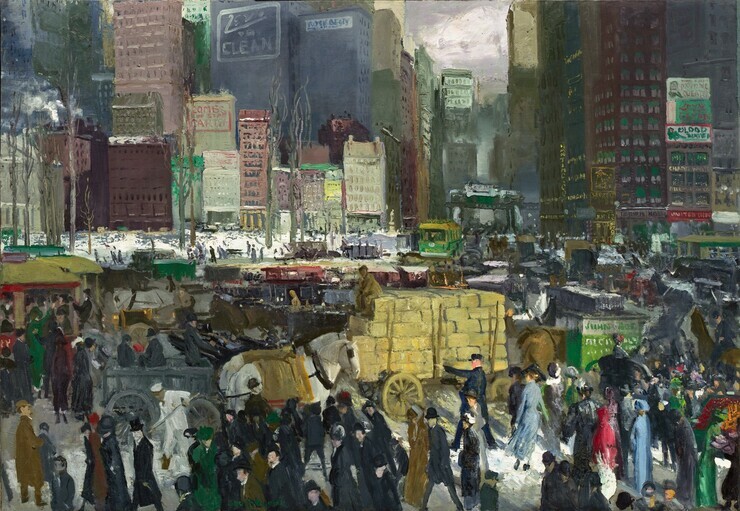 Writing Activity: What nouns, verbs, and adjectives can you list in looking at this painting? Using the Nouns-Verbs-Adjectives worksheet (PDF 34KB), write as many words in English as you can think of, then write more words in your native language. Work together as a class to translate the words not written in English. Speaking Activity: How would you describe this woman? Who do you imagine she was? Is she young or old? What puzzles you about this painting? Do you like it? Why or why not? Use the descriptive word cards (PDF 34KB) as a starting point. Speaking Activity: What words can you think of to describe what you see in this painting? What desserts do you like to eat or make for happy times and celebrations? 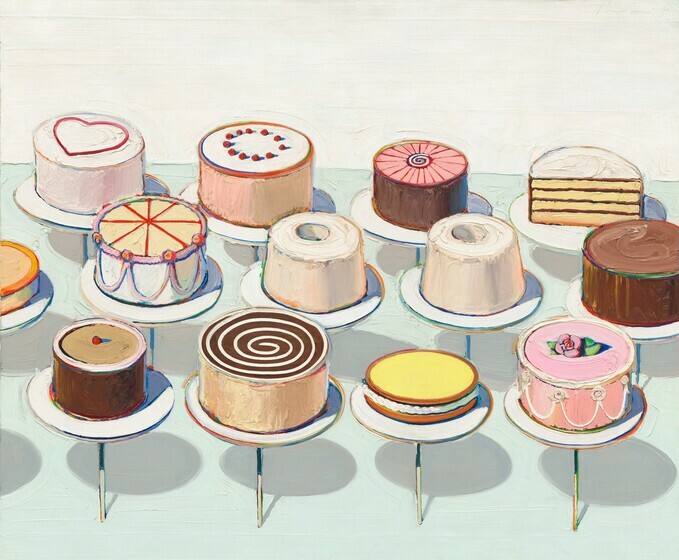 Sketch your favorite dessert and then describe it to the rest of the class. 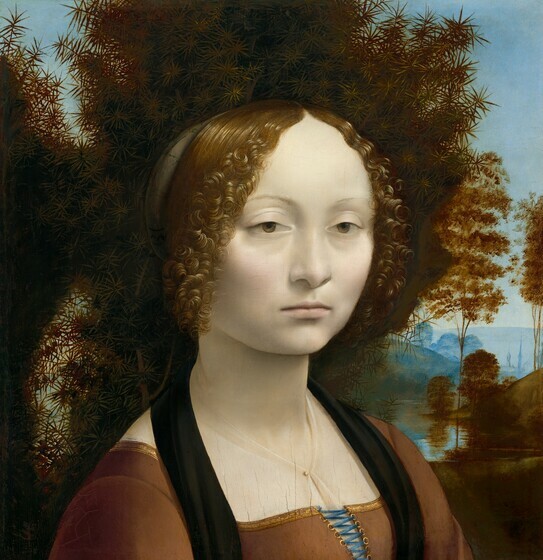 Writing Activity: How would you describe the girl in this painting? How would you describe the dog? 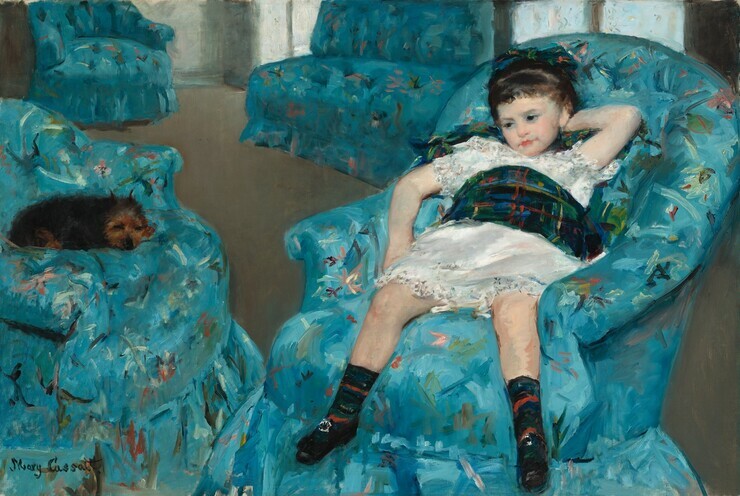 Complete the I am poem worksheet (PDF 31KB), taking on the perspective of either the dog or the girl in this painting. Alternatively, write down one or two sentences describing what either the dog or the girl is thinking.